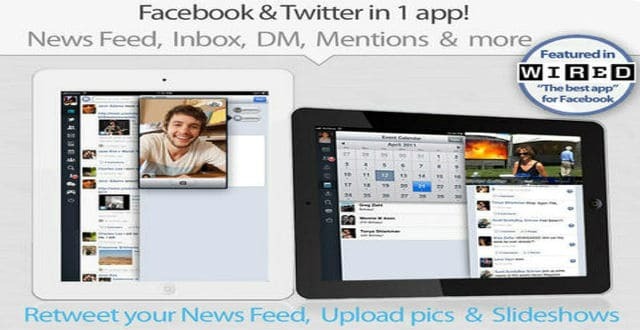 A list of best free apps to manage multiple social networking accounts at once on your iPhone and iPad. 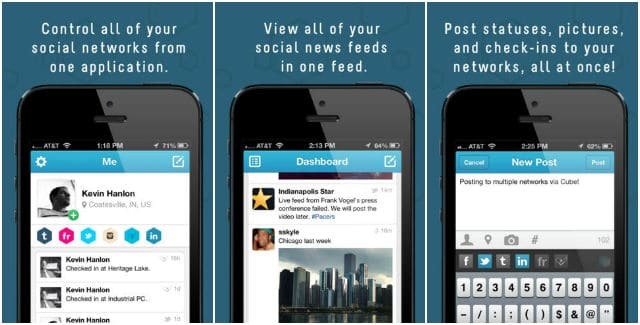 Manage your Facebook, Twitter, Google Plus, LinkedIn, Foursquare plus more accounts from a single dashboard. If you are one of those who like to try almost all social networks and have more social profile, you should know that there are applications available in the App Store that can manage multiple social networks at once, which certainly will be a great help to take care of all your accounts without delays. So, you know, if you have an iPad, or any iOS device, do not hesitate to try the different tools that we present in this selection. For those addicted to social networking sites, and also for those who are hooked up now, these applications can be a great tool for information retrieval. And you, do you have accounts on several social networks? If you want to manage all of your social networking accounts in an orderly and massively, then this list of best free apps to manage multiple social networking accounts at once on iPad is for you. Hootsuite is a manager of your preferred networks such as Facebook, Twitter, LinkedIn, and Foursquare. The application allows you to configure and manage multiple accounts in social networks (for viewing and comment), schedule messages, comment on all networks at once, upload photos, share locations and photos, check your contacts and meet others. Simple, elegant and versatile, Hootsuite allows you to send and schedule publications wherever you are. With this app you can manage and publish content to Facebook, Twitter, Google plus, Linkedin, tumblr, and many other social networks. Everypost provides unique functionality that allows posting content without restriction of 140 characters; manage your Google+ page and your Facebook and LinkedIn company; etc. Manage your accounts on Facebook , Instagram and Twitter with MyPad. 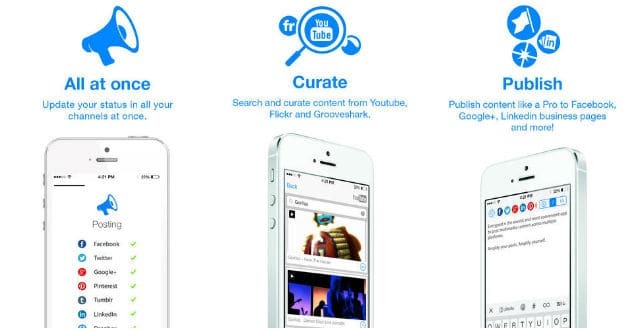 With this tool you can publish content, edit photos before uploading, find trending topics, listen to free music from Hype Machine and many other options. Also you can add multiple Facebook accounts. Cubenect allows you to control all your social media profiles, like Facebook, Twitter, Foursquare, LinkedIn, Instagram, plus more from a single dashboard. Put statements, pictures, check-ins to all your networks … and all at once! We welcome your comments or opinions here just below and if you know any other service that you think suitable for managing multiple social networking accounts at once on your iPhone and iPad, don’t forget to leave your suggestions. Thank you for being with us.